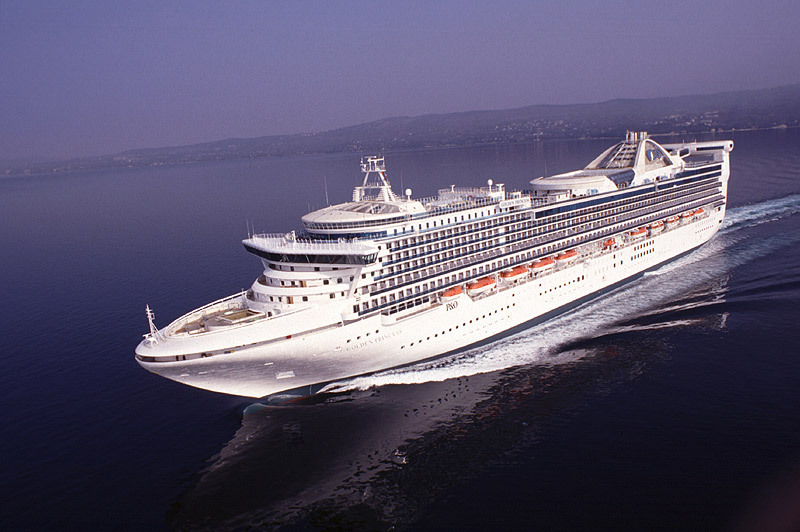 A great range of Golden Princess reviews written by our customers. To write your own Golden Princess review click the link on the right. Summary: Amazing holiday, the ship and the staff were fantastic. The itineraries around South America where beautiful. Best holiday I have ever had !! 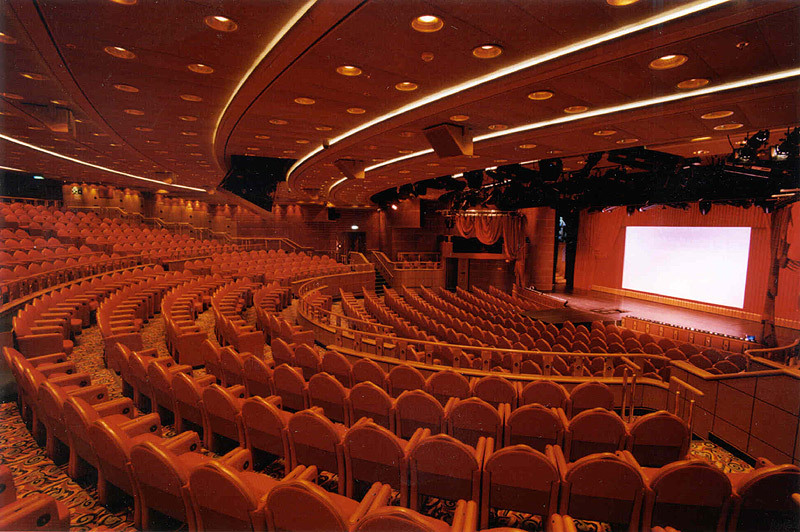 Summary: The Golden Princess was a good sized ship, and the catering was excellent. There was plenty of entertainment, however we felt the standard of stage performances could have been better. We understand that Princess was catering for a largely American market, and therefore not always recognising British tastes. That being said there were a number of nationalities on board our recent trip from Buenos Aires to Santiago and hosts were translating from English to Spanish or vice versa. We felt the entertainment team who provided quizzes, karaoke, games on board were very good. Our package included a two night stay prior to the cruise and post cruise which was great to see the cities of Buenos Aires and Santiago. All transfers were on time and flights arranged by Iglu were faultless. Thank you for organising a great trip. Summary: We flew to LA for overnight stay prior to start of cruise the following day. The ship was excellent, warm and welcoming. Our mini suite was spacious and comfortably furnished. The balcony was big enough for the two of us. The crossing on the Pacific was a little rough. The weather cloudy and much cooler than expected. We travelled late March. The entertainment was excellent. Staff were friendly and could not do enough for us. Arrangements made by IGLU were clear and regularly updated. However, we felt that the instructions for the shuttle for hotel at Heathrow airport could have been more detailed e.g. number of bus stop and location. We had a wonderful time in Hawaii and will certainly be booking again. Summary: Flew to LA in February for an overnight stay before catching the Golden Princess to Hawaii. Sea trip was a bit of a surprise as it was very rough but the ship was great! The staff, the food and facilities - drinks were a bit expensive but had already been warned. Hawaii (when we got there) was lovely and should be on everyones wish list. Atrium staff (coffee area) became our favourite as the staff were so firendly and nothing was too much trouble. Food in the 24hr dining area was everything you could wish for - it was that good we didn,t bother with the formal dining in the two weeks we were on board. All in all we had a super time. Summary: We had a good time with the cruise on Golden Princess. Our stateroom was fine with a nice balcony. There was plenty of room for having 4 chairs and a table. The bedding, carpet and curtains were alright, although not brand new, at least there was no wear and tear. The room offered plenty of space for storage of our things. Our cabin steward was a nice person, always with a happy smile and full of energy. The service in the dining room and the food was good. The casino was surprisingly not crowded. They offered all of the standard table games and a lot of slots. It was always easy to get a seat for the table games. We enjoyed our time in the casino very much. Summary: The cruise was fantastic, the entertainment was brilliant and we found the naturalist lectures were very interesting and informative. Our cabin steward was very good, very nice, very polite. 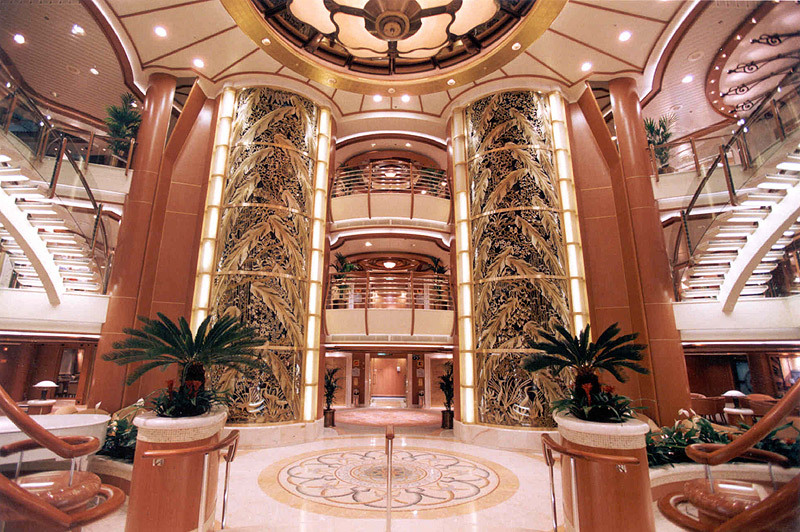 The Golden Princess was great with lots of things to do such as basketball, mini golf, and paddle tennis. 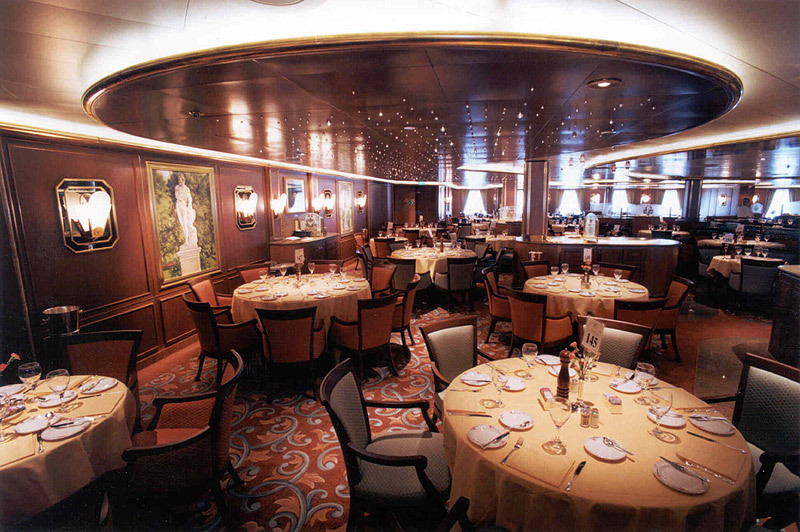 A piece of advice, for personal choice dining is to reserved time every night so you can cruise right in. The drink were not too pricey, the disco was just awesome. I was also surprised to find wood trimmed furniture and spacious closet, pleasant painting and what a comfortable bed. This was a great vacation, for the money, this is a great deal. Summary: The ship was first class, good food and anytime dinning. The drinks were expensive and the entertainment average. The cabin and ship crew were brilliant. 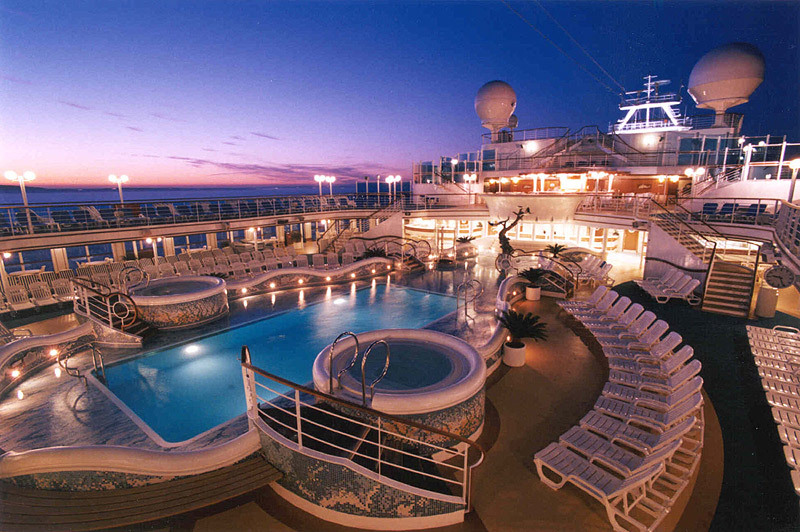 It was our first cruise so being at sea for so long was too long. The only letdown was we had too leave the ship 8hrs before our flight and the breakfast was poor on the last day. Also it would be better if you had more English breakfasts on not only the American foods. Summary: This was our first cruise and we were unsure about; would it be for us? We were amazed at all the friendly staff/passengers and we made great new friends. The food was first class with anytime dining we could eat where and when we liked 24hrs of the day if we wanted. The Ship was beautiful and our stateroom had one of the most comfortable beds we have ever slept in. We made our own arrangements when we went ashore and found this to be more flexible. The shows were good but not exactly Las Vegas style but we still enjoyed them. 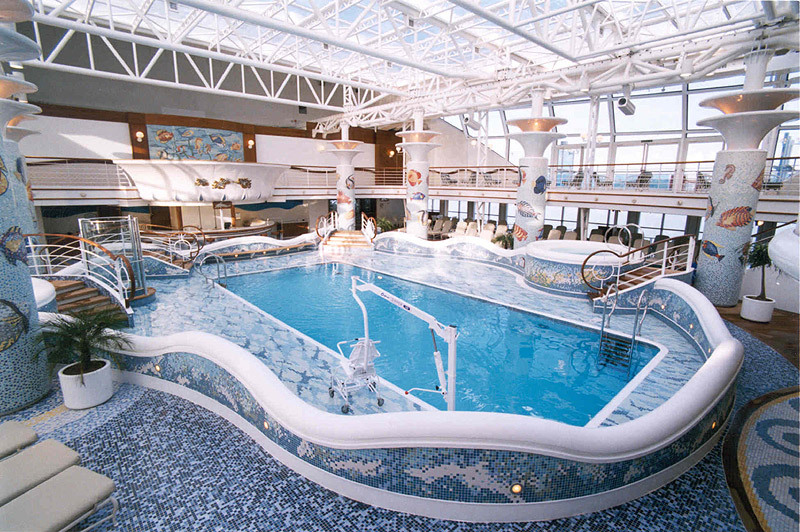 We are looking forward to cruising again. We would recommend princess to anyone as we had a ball. Hawaii was fantastic also. Summary: The golden princess is a fantastic cruise ship no doubt about that, the entertainment could have been better. The food was fantastic and the service was excellent, I think maybe a bit too long to be at sea, as there wasn’t a whole lot to do while on board.